“Detective Conan: Full Score of Fear” is the 12th film in a series of the Detective Conan manga and anime franchise. Though the initial screening of the movie was in 2008, CGV re-released the movie due to its past popularity. From the start of the movie, tensions arise as an explosion happens at Domoto Music Academy, a music school, killing two men and one woman. 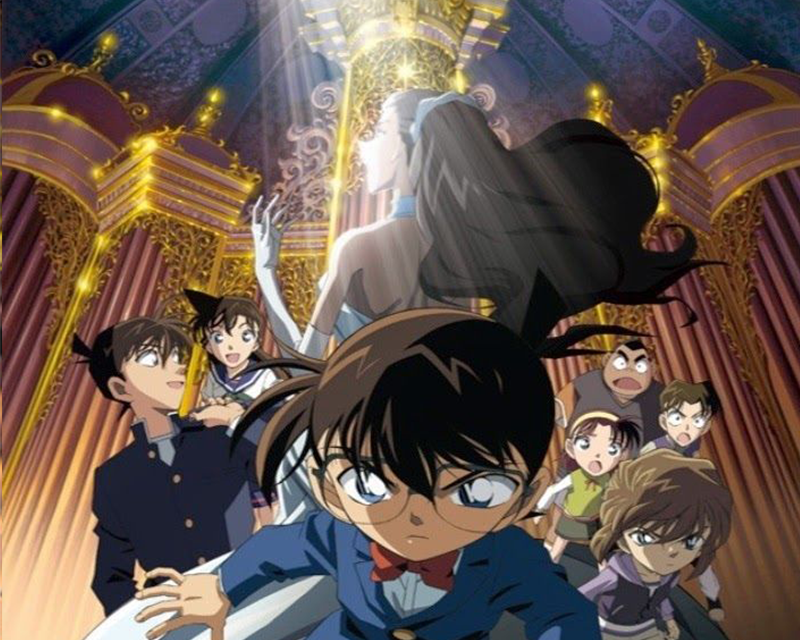 Conan, his guardian Ran, and his friends get invited to a rehearsal for a performance in the Domoto Concert Hall where they meet Reiko Akiba, the main Soprano soloist, followed by a famous organist Kazuki Domoto. Reiko is threatened and chased by a mysterious killer. However, on the day of her performance, she, along with Conan, are knocked out so that she won’t be able to perform in the concert. After getting attacked, Conan and Reiko wake up in the middle of a lake on a boat, where they start to hear numerous explosions coming from Domoto Hall. Despite the explosion outside of the concert hall, no one inside the concert hall notices the explosions due to the unique sound system. To find the assailant, Reiko distracts the performance by singing “Amazing Grace” and Conan enters the balcony where the assailant is at. This movie not only appreciates music and their deepest meaning to children but also conveys a love story. 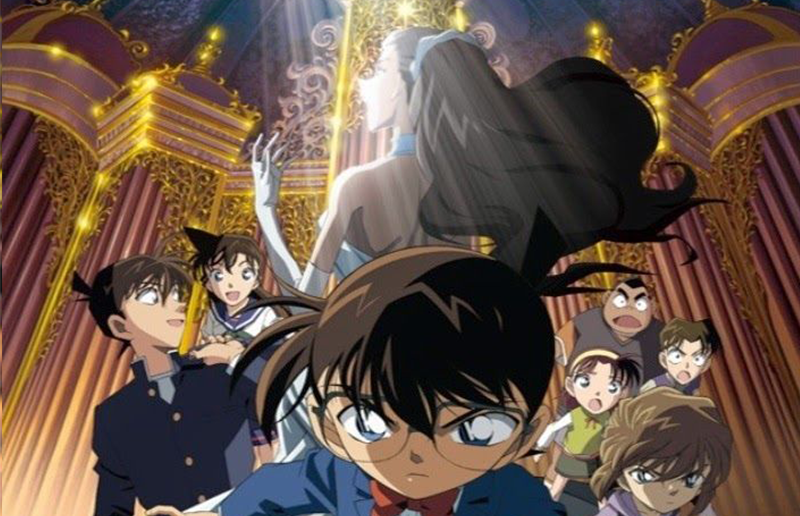 In the beginning, Conan’s guardian, Ran fights with her boyfriend, Shinichi Kudo on a promise to go and watch the concert. However, he fails to attend due to his busy schedule. Going back to when they fought previously in high school, she remembers that they reconciled after listening to a woman singing “Amazing Grace.” The movie ends with Conan playing “Amazing Grace” in the woods with his violin that catches Ran’s attention, and the song eventually brings them peace. Since the movie was a children’s movie, the audience was mostly comprised of children and their parents. 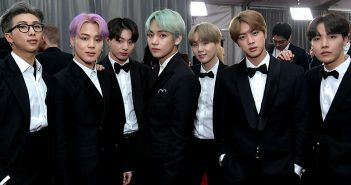 Therefore, when there was same introduction of the movie, the last line, which is known for its popularity, “there is only one truth,” the children would scream the line in Korean and end with the hushing from their parents. Despite being a children’s movie, the heartwarming love story and powerful message appealed to the audience across all ages.